The goal of these small and elegant confections is to capture the energy of a perfect dinner party—great food, curated wine, excellent conversation, beautiful company—and extend it for an entire trip. The group must be curious, intelligent, and fun. That’s you. The hosts need to be witty, charming, and full of great stories. That’s us. The location should hum with art, culture, history, stunning sights and culinary delights. 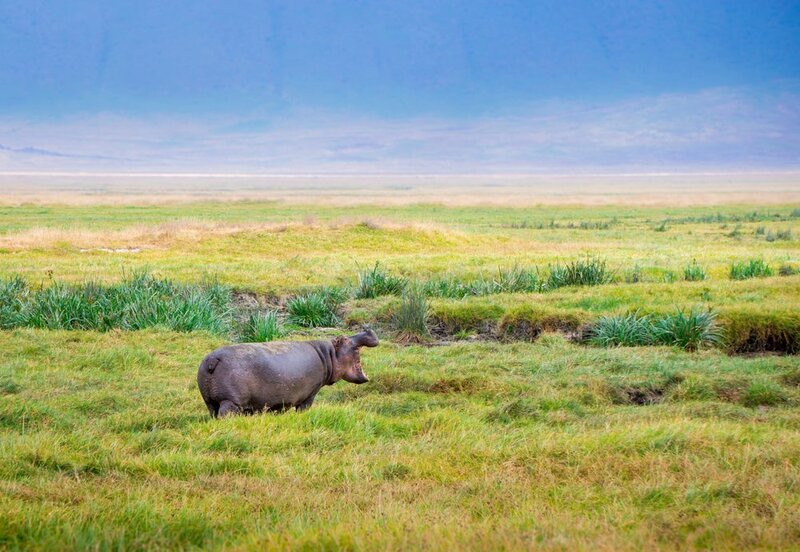 This time it’s Tanzania – its national parks, pristine beaches and awesome wildlife – starting in Zanzibar, through northern Tanzania’s Serengeti to the breathtaking Ngorongoro Crater and ending in Arusha. Combining adventure, adrenaline and serene relaxation, this is a trip for the ages. During our soirée, we will visit the island of Zanzibar with its exotic spices, gorgeous white-sand beaches and intricate wooden doors, as well as northern Tanzania's most wildlife-rich and culturally fascinating places, providing both impressive safari viewing and a glimpse into the people and history of this extraordinary country. Our trip will be in partnership with Thomson Safaris, who have been organizing the dreamiest and wildest trips around Africa since 1981, with a focus on eco-tourism, building community and protecting the environment via conservation initiatives. Your accommodations have been carefully selected for the best possible experience from luxury beachside accommodations in Zanzibar, to staying at the Four Seasons in the Serengetti, to “glamping” in Thomson’s signature Nyumba camps in the heart of the savannah to ending at award-winning Gibb’s Farm (voted best safari lodge in Africa by Travel & Leisure for two years running). Your hosts Dana Conley and Professor Adam Tooze will be there to regale you with great stories and insightful history throughout – with formal talks and not-so-formal fireside chats. 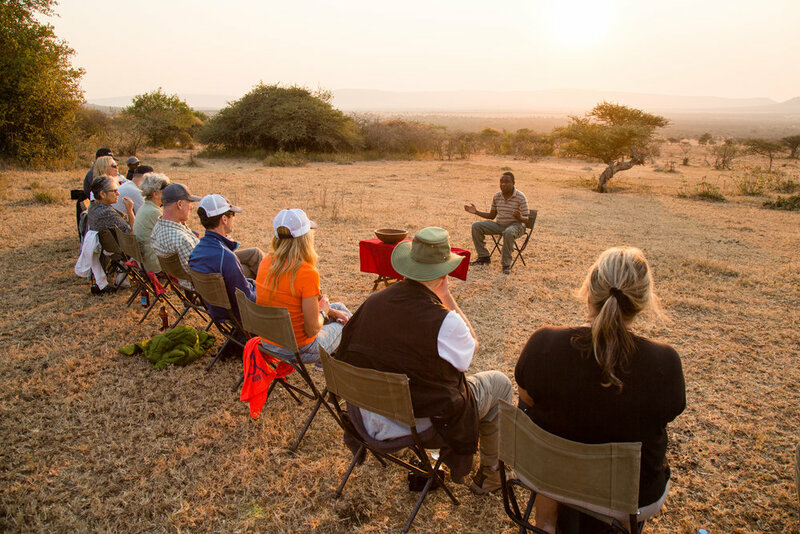 This is safari at its best, and we can’t wait to embark on this journey across Tanzania with you. ❖ Truly relax on the private & pristine white sand beaches of Zuri Zanzibar. ❖ Venture out on a local dhow (traditional boat in Zanzibar). 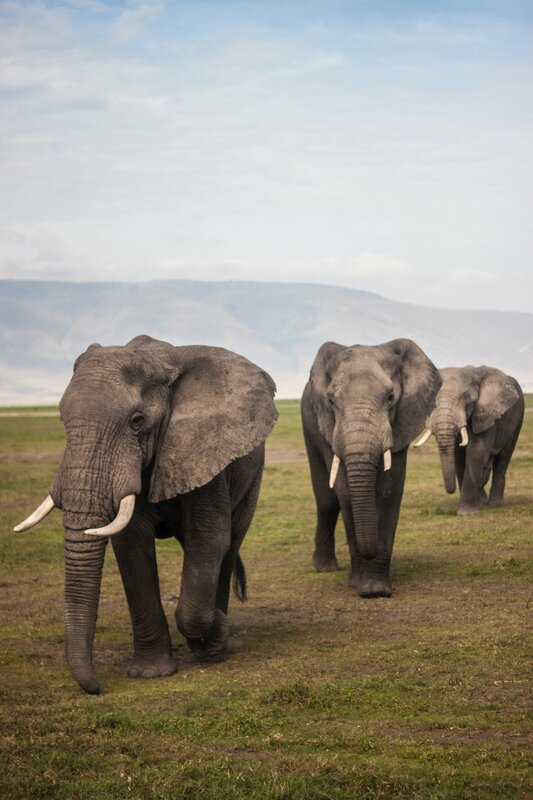 ❖ Uncover what makes the Serengeti one of the Seven Natural Wonders of Africa with over 70 large mammals and 500 different kinds of birds. ❖ Witness the frenzy of The Great Migration during which over 1 million wildebeest, 200,000 zebra and 450,000 gazelle cross the plains of the Serengeti; meet thousands of baby wildebeest, zebra and gazelle during the largest mass birthing on the planet—possibly the cutest thing you’ve ever seen? ❖ Get up close and personal with The Big Five: lion, leopard, cape buffalo, bull elephant and even critically endangered black rhinoceros. ❖ Travel in style enjoying private flights and pop-top Land Rovers with breathtaking views. Sleep in luxury at the lodges and get a taste for ecological “glamping” in national parks. ❖ Get a unique glimpse into the life of Maasai on the savannah, as this semi-nomadic tribe continues to live in traditional boma (houses) and herd cattle as they have for hundreds of years. ❖ Venture out at dawn to catch the big cats in action before they hit the snooze button for the day and join Dana for rise-and-shine fitness. We have personally chosen the best hotels and traditional Nyumbas for our soirée in the most picturesque locations. Our selected hotels range from boutique luxury resorts to upscale eco-friendly signature bush camps in the heart of the Serengeti. The Hyatt Regency Dar es Salaam, The Kilimanjaro, is a modern oasis in the heart of the largest Tanzanian city. The five-star hotel’s superb waterfront location, spectacular views of the harbour and Indian Ocean, and proximity to the city’s International Airport ensure it is among the best-situated luxury hotels in the city. The hotel features a spa, fitness center, business center and great dining options. The Level 8 Bar has become a gathering place for Dar es Salaam’s social elite. Our rooms will feature King or Twin beds, depending on your preference. Zuri means beautiful in Swahili. On 32 acres, the Zuri Zanzibar Resort is located in Kendwa village, which sits on the west-facing shores of Unguja, just 50km from Stone Town. With immediate access to the beach and a focus on culinary and wellbeing, the Zuri is the perfect place for a relaxed and luxurious vacation on the sea. Well-known designers Jestico + Whiles have elegantly combined 21st century tourism requirements with environmentally friendly architecture and the unique atmosphere of the Zanzibar islands. 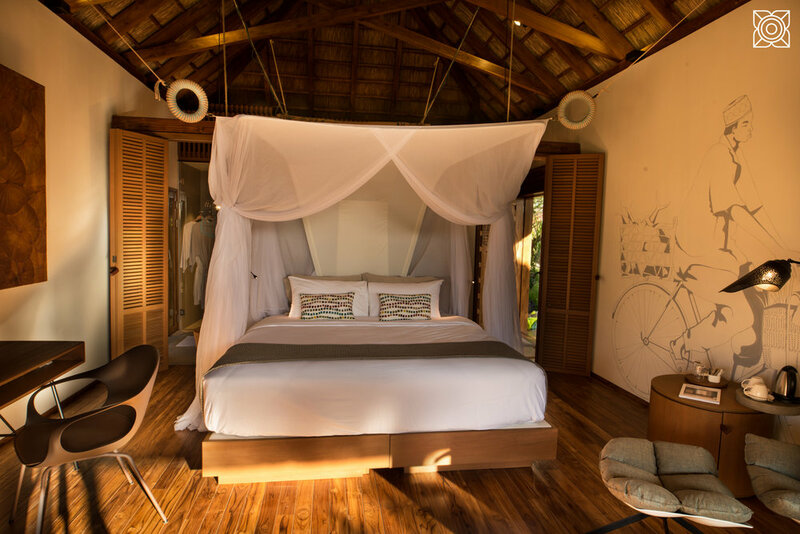 The majority of the bungalows, suites and villas offer stunning views over the Indian Ocean, whilst a few of the bungalows offer a partial ocean view or are located amongst the tranquil tropical gardens. Our package includes Garden Bungalows with a tropical garden view; they are 710 square feet (sf) with a 270 sf of private terrace. Please let us know if you would like to upgrade to a suite or to an ocean view bungalow, it will cost an additional $200 per person in double occupancy. The drinks policy here included one glass of wine or beer with lunch & dinner. Located on the beachfront in the heart of Stone Town, the Park Hyatt Zanzibar is the perfect destination from which to experience Stone Town. The town’s key attractions are easily accessible by foot including Forodhani Gardens, the Old Fort, the Old Dispensary, the Peace Memorial Museum, the Palace Museum, and the House of Wonders. The hotel features a swimming pool, spa, fitness center, business center and great dining options. We will stay in deluxe Indian ocean view rooms with a private balcony. Click here to visit the Park Hyatt Zanzibar. 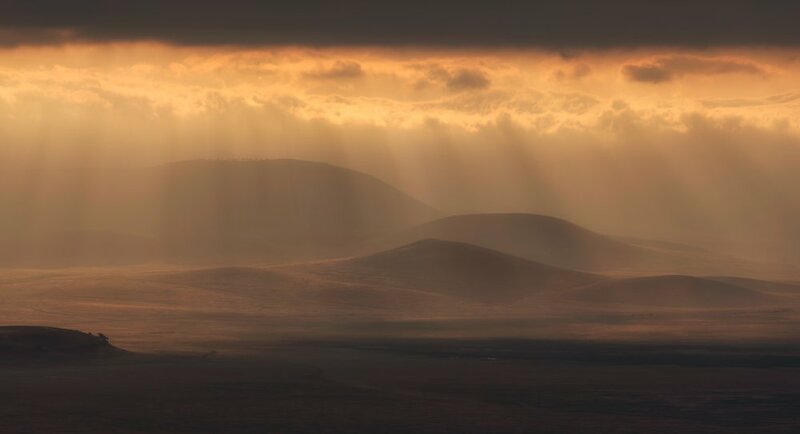 Sitting on a slope of Moruga Hill, our Eastern Serengeti Nyumba overlooks a sweeping valley of wooded savannah, wide-open plains, and remote wilderness like no other in Tanzania. With its signature style, the campsite provides the perfect place to explore the Eastern Serengeti’s rolling hills and woodlands by foot or by vehicle and engage in authentic local Maasai cultural programs. Kitted with private verandahs, enjoy a refreshing drink with breathtaking views as you look out onto the acacia-covered plains where giraffe, wildebeest, and gazelle come to graze. This is Tanzania at its boundless, wildest, magical best. Deep within Africa’s finest national park, this safari lodge offers five-star comfort in the heart of the wilderness. 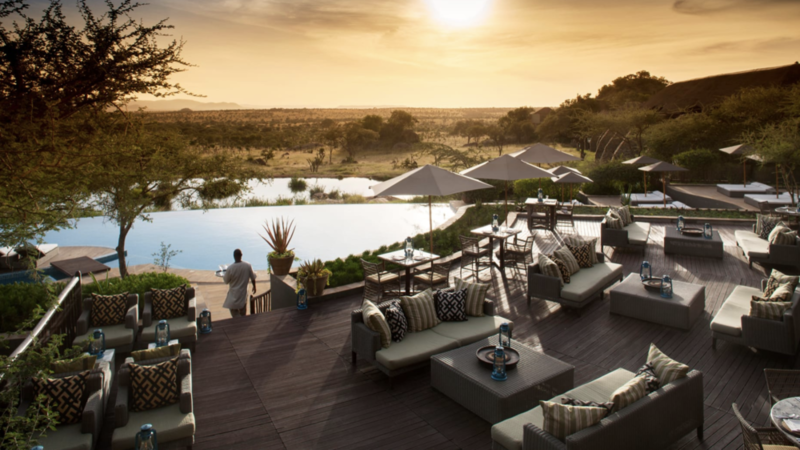 The location offers excellent access to the Serengeti's best wildlife viewing; sometimes you can even observe wildlife right from the lodge's infinity pool or from the elevated walkways that connect various parts of the lodge. For a bird's eye perspective on the Serengeti's natural wonders, each Horizon Room offers a private balcony overlooking the plains. This Nyumba is located at the rim of Ngorongoro Crater where it is poised for optimal access not only to the nearby cultural treasures, but also to the crater floor where you will experience exceptional wildlife viewing. The air here has a heavenly fresh scent, though the high elevation (about 7,200 feet) makes for potentially chilly nights; it will be important to bring warm clothes, per your packing list. The exceptional camp crew will make sure you have everything you need to stay comfortable, for example, making sure hot showers are available in your en suite bathroom, preparing delicious four- course meals and offering you drinks or snacks around the roaring camp fire. Awarded Travel + Leisure’s Best Safari Lodge in Africa two years in a row, Gibb's Farm is a dreamy getaway tucked into the rolling hills of the Ngorongoro Highlands. You’re at Gibb’s Farm to indulge—enjoy an afternoon at the spa, an evening on your private verandah, a dinner brimming with fresh farm-to-table delicacies and rich South African wines. The country’s longest-standing farm and coffee plantation, Gibb’s Farm with its stunning gardens is a world-class lodge with authentic East African flair. Homey, comfortable cottages are placed throughout the garden, while in the main building, an elegant lounge and dining area offer a quiet place to relax and share safari stories. At one end of the picturesque garden, there is a semi-enclosed park-like setting where marabou stork, zebra, gazelle, warthog and even elephant recover from injuries obtained in the wild. Depending on their condition, every effort is made to reintroduce them to the wild. You may be lucky enough to hear monkeys chattering in the trees in the evening or scampering over the roof in the morning. We will be joined by historian Professor Adam Tooze, one of the world’s leading historians. He is also good fun, a tireless conversationalist, and an experienced travel study leader. Adam studied at Cambridge and the London School of Economics where he was also a professor; he also taught at Yale University, and he is now teaching at Columbia University, where he is Director of the European Institute. As Tanzania was a Germany colony, and Adam’s passion is German history, he looks forward to helping us place the sites we are visiting into historical, political, and cultural context. To experience all of our planned activities and participate in wildlife viewing, you’ll need to be happy with riding in the safari vehicle up to 8 hours on some days. Everyone will have a window seat, and we will take lots of breaks along the way, however, safari does mean a lot of Land Rover time. There will be easy walking, but it may be in the bush, so you need to bring good non-slip hiking boots. We will discuss daily the upcoming walking difficulty and time in the car in advance, so you can make your decisions and organize your days accordingly. On days where we are not transferring lodges, you’ll have the option to stay back and enjoy the facilities. Of course, we have kept you all in mind when designing this trip, so we’ve handpicked beautiful walks that we feel most everyone can enjoy. Due to the nature of this travel and small charter flights, luggage allowance is strictly limited per person to: (1) 33 lbs. soft duffel bag + (1) small day pack. Laundry service is not included but is available, and a full load can be washed and pressed same day for between $30 and $40 USD. To enhance personal attention and limit costs, we need a minimum of 12 and a maximum of 16 attendees. We have limited space for single passengers. If you can vouch for your friends and think they would enjoy our company and style, we’d love to have them join. No sticks in the mud allowed. Ages 18 and up only, so we don’t have to censor any dinner conversations. $400 per person Tanzania-imposed tax. Meals and beverages other than those specified as included such as those en route to Tanzania. Personal charges such as phone calls, massages and mini-bar blowouts. Water sports activities in Zanzibar such as diving and snorkeling. For a complimentary arrival transfer, we will accommodate any arrivals on Tuesday, February 11th. You will want your flight to arrive at the Dar Es Salaam Airport (DAR) on Tuesday, February 11th. This most likely means that if you are flying from the USA, you will depart on Monday, February 10th—however double check your flights, you may need to depart on Sunday, February 9th. Conley & Silvers will provide you with ideal flight itineraries for this trip. For a complimentary departure transfer, flights should be scheduled out of Kilimanjaro International Airport (JRO) on Monday, February 24th after lunch. We will provide a private or semi-private transfers to the airport. We would be thrilled if you’d join us! First come, first serve for booking, so even if you have already told us that you wish to join, we still need for you to respond now that you are “in”. Let us know if you are “in” by using the button below to return to our RSVP page, where you can compare our two 2020 Tanzania Soiree package options and submit an RSVP online. Once we have confirmed your reservation, we will send you an invoice with instructions for remitting your deposit. The initial deposit of $1500 per person will be due within 30 days of your RSVP. The deposit will be fully refundable until April 30, 2019.The final deposit with the remaining balance due will be due by October 21st, 2019. As all payments are non-refundableafter April 30, 2019, we strongly recommend getting trip insurance within two weeks of paying your deposit. Once we receive your deposit, we will send you a trip insurance quote from our partners at AIG/Travel Guard so you have a place to start with comparisons.